Would you believe it but who should have a studio down the corridor from Modernist HQ but Frank Williams, formely of Manchester City Architects Department. 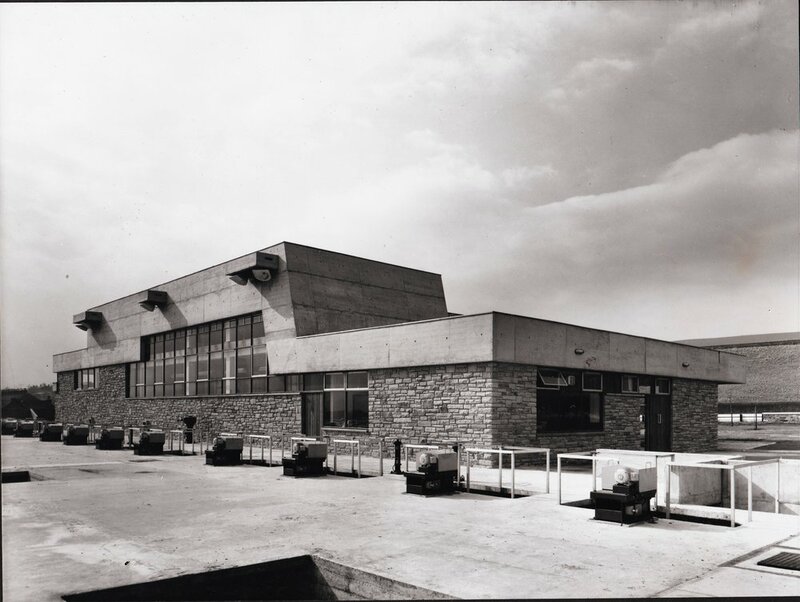 Frank worked as part of the team on a number of our favourite Manchester buildings including Blackley Crematorium (1959) and Arnfield Water Treatment Works (1962). Frank was also a contemporary of our friend Derek Hill who helped design the Toastrack and with whom we partied in 2012. 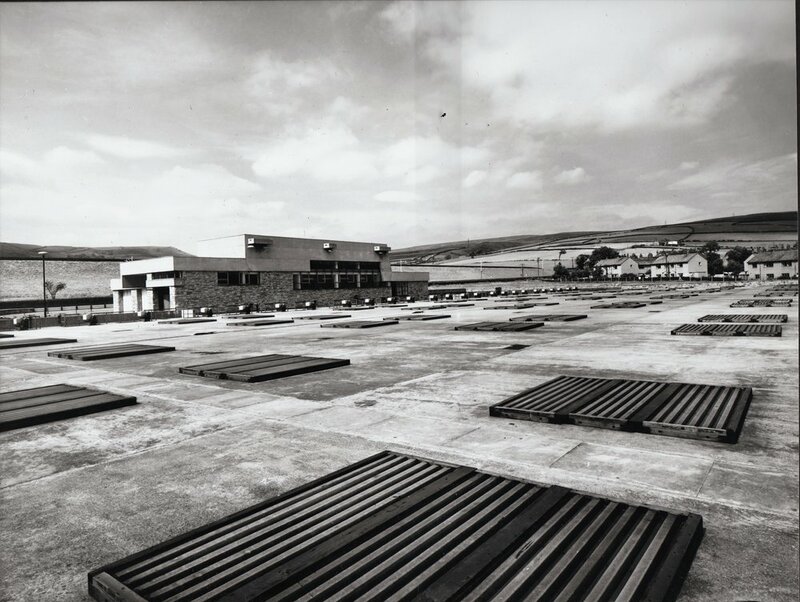 Frank has loaned us some images of buildings that he worked on from his personal archive which we show here, including Blackley Crematorium, Arnfield Water Treatment Plant and the Godley Water Filtration plant. The black and white photographs are by Elsam, Mann & Cooper and the prespective drawing is Frank's own.